Kikizo: The game's coming out on PlayStation, Xbox 360 and PC. Do you find it difficult to work in the online atmospheres of these platforms considering how different the platforms are? Therien: It's extremely different, especially on PS3. 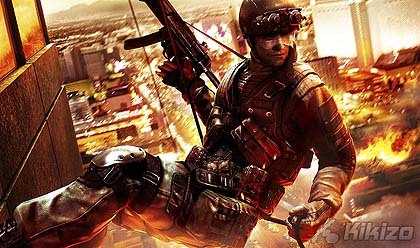 The main problem for the first Vegas was that the PS3 was so new when it came out that we really were having to experience all the growing pains of a new console, but now that it's pretty much established we have a lot less problems figuring out all the online stuff and getting support from Sony. That's going a lot smoother, so the experience is going to be a lot closer to the one that was on 360. Kikizo: How has it been working with Sony? Has the way it works changed over the last year, have they become more supportive of you as a team? Therien: It's very different. There's a lot more support. The structure is a lot better to get help. I think it's mostly because people were so enthusiastic about PS3 that everybody pounced on Sony at the same time and they were just overwhelmed by the amount of requests for support because everything was so new that people couldn't figure it out on their own. But I think that it's quietened down a little bit now in the sense that we can get all the support we need, we have all the tools we need and we get our information back from them pretty quick, so that's working well. Kikizo: Is it fair to assume that Xbox 360 is the lead platform on this game? Therien: It's not the lead platform in the sense that it was developed on 360 and then ported to everything else. 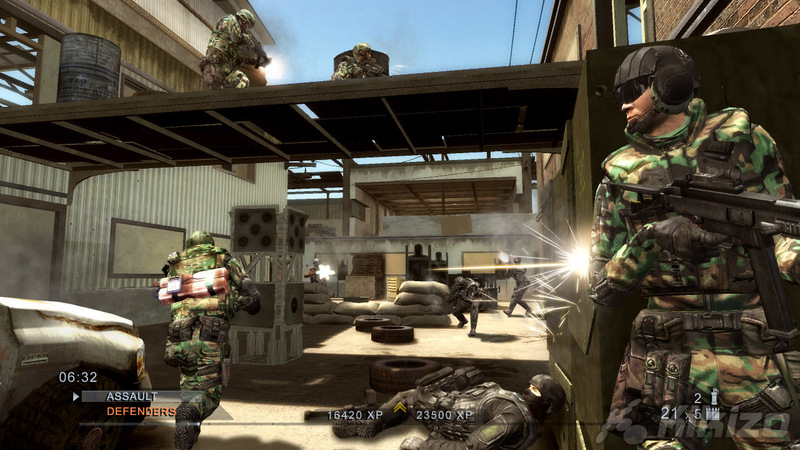 The game was built simultaneously on PS3 and PC. So from the start the team was split into a couple groups and the versions were being built together from the ground up. The content is the same for the three platforms, so there isn't a master platform. If you want to look at it from the master platform, we developed on PC, so you could say that was the master platform even though it's not - just because it's our development tool. If we could do the same on an Xbox or a PS3, we would do that, but it's just more cost effective to do it that way. Kikizo: What about the prospects of cross-platform play? Is that something you can do? Is it something you want to do? Therien: Can we do it? Yes. Is it smart to do it? I'm not so sure. The thing is, between Xbox and PlayStation it would be almost impossible. That's one thing. However, if you're talking about between Xbox and PC, Yes, absolutely, we can do it now. Kikizo: I'm sure Microsoft would love for you to do it. Therien: Absolutely. The thing is, when you compare a shooter that you play with a keyboard and a mouse, is it even to playing with a controller, so is it smart to put people together without telling them, This is a PC user and you're a console user, play against him. It's not fair. At the same time, we don't want to discriminate by saying, Oh, this is a PC-only server. At that point, why are you having cross-platform gaming? So there's still a lot of things, I think especially for shooters. RTS, RPG, anything you can think of, you can possibly do a good crossover, but shooters, I think there's still a lot of work to do before it's safe to put out a cross-platform game. Kikizo: I'm being told to wrap it up, so I'll ask two quick questions to finish. First, what games are you playing right now? Therien: I finished Mass Effect. Loved it. I'm going to play it a second time actually because I really enjoyed it. And I also played Call of Duty, which I thoroughly enjoyed. Really good game. Kikizo: And lastly, when last were you at Schwartz's? Therien: [Laughs] I was at Schwartz's... a long time ago. At least four months ago. Kikizo: Thanks for your time, Philippe. Rainbow Six Vegas 2 will be out for PC, PlayStation 3 and Xbox 360 on 21 March.